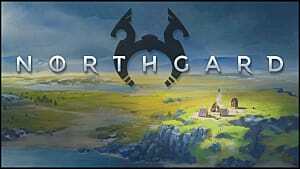 If you haven't seen or heard of Northgard, you obviously didn't pay attention to the Steam Top Sellers list last week or read our useful beginner's tips guide. 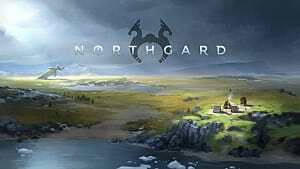 An RTS game that puts you in control of a faction of Vikings who are trying to colonize a new, mysterious land, Northgard is the newest strategy game from Shiro games, the makers of Evoland and Evoland II. Currently, the game is in Early Access and as such, is only a fraction of what the final product will look like. 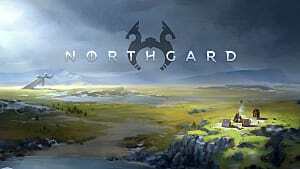 But even that fraction is a highly enjoyable game with three different factions to play as and procedurally-generated maps that keep each new game interesting. 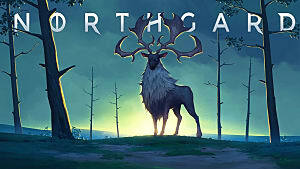 Currently, the three different factions that players can choose from in Northgard are the wolf (aggressors), the stag (expansionists), and the goat (pragmatists). But, as you might notice in the picture, there are two factions not released yet. 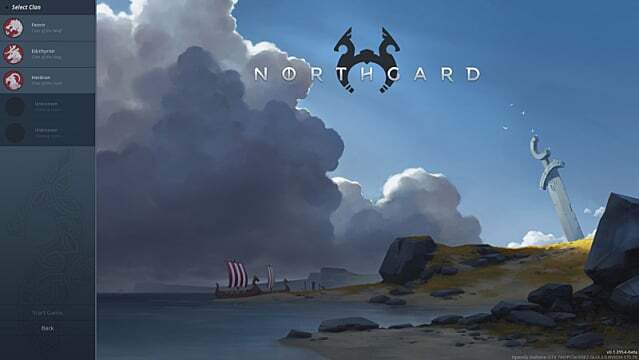 While we might not know what the devs have planned for these two remaining factions it's always fun to take a crack at guessing. 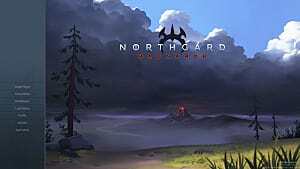 So, if I were the developer, what two other factions would I add to Northgard first? While there are no eagles in Norse mythos that carry a name, eagles are still a revered and sacred symbol. 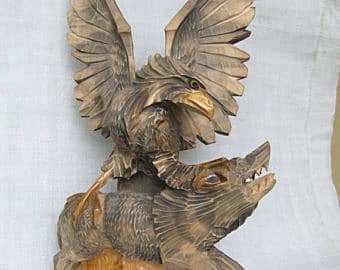 In fact, according to the Poetic and Prose Eddas, atop the world tree, Yggdrasil, sits an Eagle who is wise with knowledge, as it can see all that is laid out before it from its lofty perch. It would make sense for the eagle clan to be a wisdom-based clan, possibly with bonuses for lore production. 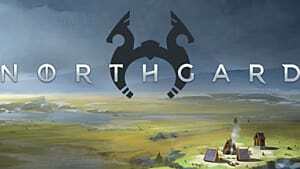 And they could have a unique unit -- like the wolf clan's Berzerker -- but instead of being a cantankerous warmonger, it would specialize in lore like, perhaps, a Gothi or a beefier healer unit. As far as the starting bonuses go, I would start them off with a free scout who could seek out new areas and explore ruins 30% faster since eagles are attributed to having such great vision. Perhaps they would also start with enough lore to choose one of the starting perks as well. I'd also give them boosts to the trading and healing skills because of their greater wisdom, but they would have slightly weaker warriors as a trade-off given their scholarly nature. 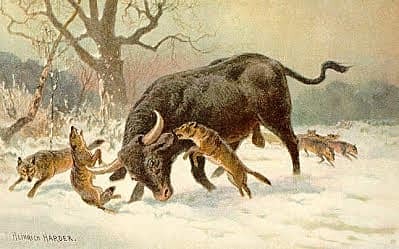 The auroch was a wild ox and is the ancestor of the domestic cattle we have around the world today. 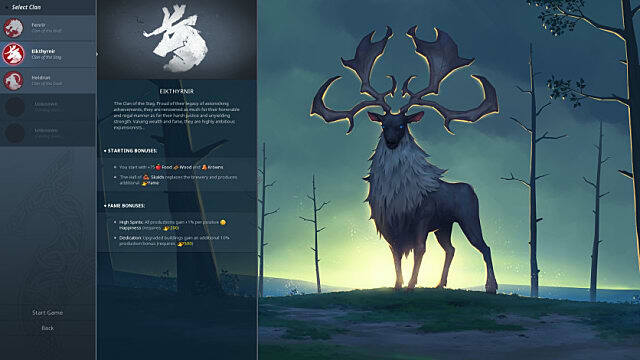 Known for its strength, size, and stubborn temperament, this would be the perfect animal to serve as the clan mascot for a defensive-style clan. Being a protective people, the aurochs would have stronger defensive towers and general buildings, as well as health increases for their combat units when they upgrade those units' tools. They would also have buffs to their markets and gold accrual, given their defensive nature. It would also make sense for their land tiles to be more resilient, taking longer to capture after a fight with their enemies, allowing them the possibility to mount a quick counterattack. As far as wins go, the aurochs would be more of a non-aggressive win-type clan -- most likely winning the game by a trade or wisdom victory. Both of these clan types would fit in very well with the current selection of clans and really round out the game, while offering diverse player types something to fit their style. As someone who generally wins these types of games by non-aggressive victories, the auroch and the eagle clans are really appealing choices. 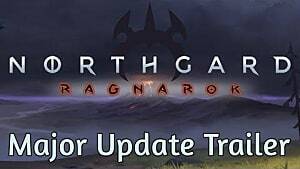 What additional factions would you like to see added to Northgard? How would you balance them with the current clans? Let's talk about it in the comments below!